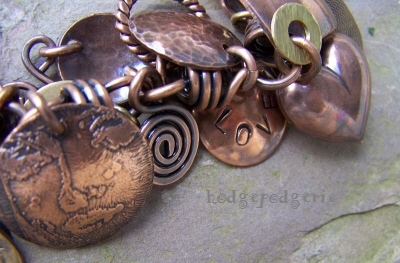 I had a terrific time making all these pure copper discs, rings and squiggles! However, with all that pounding and hammering, even my dogs had to go hide! The result was worth all that noise as I know you'll just love the way this unique handmade artisan bracelet looks and feels on your wrist! 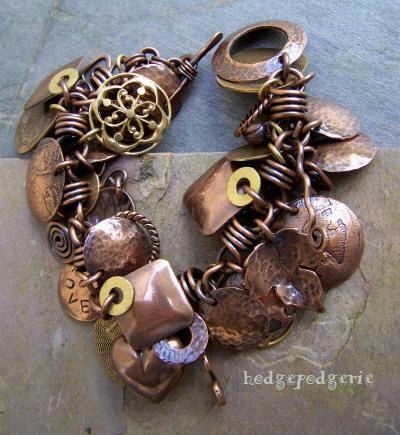 This fanciful, bracelet has tons of movement!!!!!! 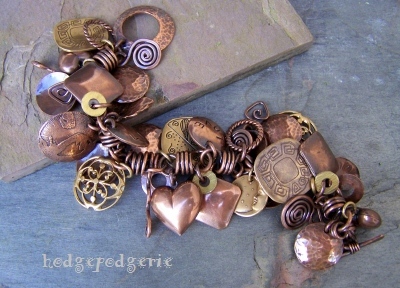 Created in pure copper and Vintaj� brass stampings, I've hand-stamped, textured, etched and coiled copper sheet and wire. 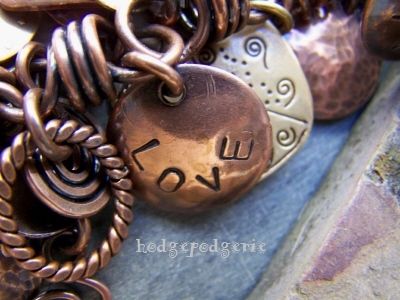 The words 'Live, Love, Laugh' have been stamped into three of the copper discs. The more you look at it, the more interesting things you'll find! Shake it and the bracelet 'chings' softly in the delightfully musical chimey sound of metal-on-metal. 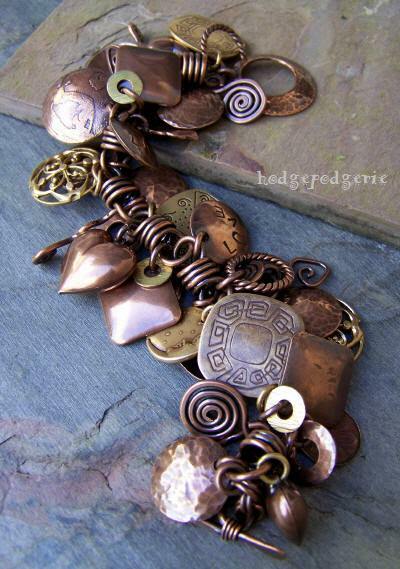 I've given the entire bracelet a lovely rich patina, enhancing the textures and warmth of the metals. The bracelet's artsy design is a delight to wear! LOVE it!! Return from "Charmed! Bracelet" page to "Bracelet Gallery" page.